Nigel Sprague was our longest standing member and our last President before we reconstituted as a charity a couple of years ago. He died on 19 July 2017 after a fall at home in Wylam and complications. 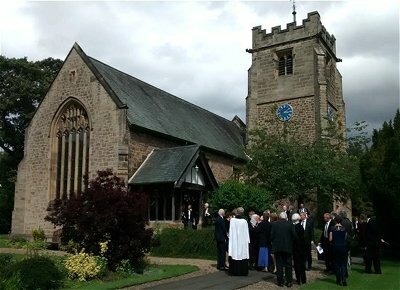 His funeral was on 28 July in St Oswin's Church, Wylam (pictured), and afterwards at the club. Fulsome tributes were paid at the club by Ian Wagstaff.